Menashe Levin (1903-1981) was born in Grorzisk, Poland, to a deeply Orthodox hassidic family and studied at a yeshiva. With the outbreak of World War I, Levin settled in Warsaw, where he studied European languages (German, English and French). At age 18, he published his first stories in the periodical Kolot. 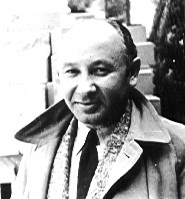 Levin arrived in pre-state Israel in 1925 and settled in Tel Aviv. He was a prolific translator, especially from French, and was twice awarded the Tchernichovsky Prize. 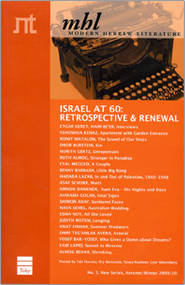 In 1991, the biannual Menashe Levin Prize for French-Hebrew translation was inaugurated.